A collaboration between Vancouver Island University and Vancouver Island Master Gardeners Association. Give back to your community and share your joy of gardening. The program consists of 78 hours of classroom training, followed by 70 hours of volunteer service. The classroom training component is delivered in a Saturday workshop format (12 sessions). The program will take place at the G.R. Paine Horticultural Training Centre in Nanaimo. Volunteer Service component is where students share their gardening knowledge and passion with the community, supported by experienced Master Gardeners. 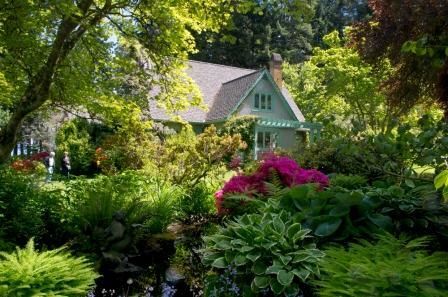 Experienced home gardener, prepared to share knowledge and enthusiasm with the gardening public. Apply to Vancouver Island University and pay the application fee (if applicable).